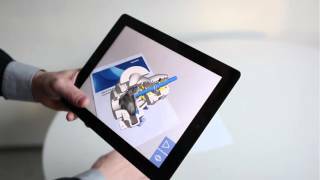 In augmented reality virtual components are brought into real locations with the help of a display device. The display device can be a phone, tablet, separate display headset or glasses. There are diverse applications areas in sales, marketing and maintenance. Create that WOW effect!